Registration is now open for Cuesta’s Summer 2017 term of Library/Information Technology (LIBT) courses. Summer classes begin June 12. Find class offerings and descriptions below. Library/Information Technology courses from Cuesta College are not just an excellent way to prepare future library support staff. They are also excellent ways for current staff to refresh their knowledge, or to gain new skills. Because all courses are online, they are available to anyone with an Internet connection, and are a perfect fit for people with busy work and family lives. LIBT 212 – Research Skills (1 credit) Online, 6/12 – 7/21 An information literacy course for students wishing to improve their research skills. LIBT 217 – Ethics in the Info Age (1 credit) Online, 6/12 – 7/21 Focuses on ethical and legal issues of information access and publishing as applicable to the Internet. This will include a basic knowledge of copyright laws, security and privacy issues, Internet advertising, and the appropriate use of the Internet as an information delivery system. Transfer: CSU. DIST 101 – Intro To Online (.5 credit) Online, 6/12 – 6/30 [Note: Listed in “Online”] Introduces students to the different types of technologies utilized in a distance education course. Students will determine if distance education is right for them and learn academic and technological skills for success in distance education and technology mediated courses. The deadline for submissions is October 15 and check out the Newsletter Submission Guidelines HERE for restrictions on length and formatting. Pictures are encouraged and will be published in full color. I look forward to reading what you have to say and thanks for making theBay Area library scene the exciting and diverse place we all enjoy. Help fund this innovative production! What to hold onto? What to let go of? Archivists Lucy and Ella have a knack for preservation – and family secrets. While learning to sort this from that, Tom finds more than he bargained for. What will keep them all from getting stuck in the past? A collaboratively written new work inspired by the notes and clippings left behind in books donated to Friends of the Palo Alto Library. This story explores themes like digital versus physical, truth versus memory, and uses terrible and wonderful puns. It’s like Harry Potter meets the X-Files. Or Miss Peregrine’s Home for Peculiar Children meets The Mysterious Benedict Society, with a dash of Jonathan Strange…. It has magical creatures. It has masks. It gets people talking about books and technology and family secrets. 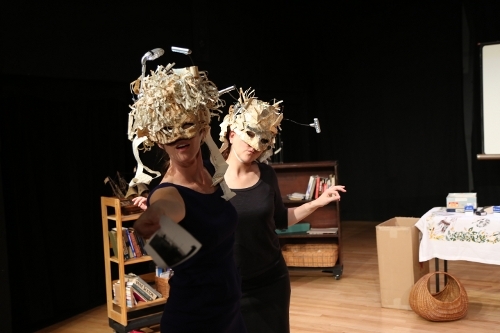 But most of all it’s a unique theatre experience devised by local Bay Area artists and is unlike anything else that you’ve seen at the Dragon Theatre – it’s the kind of theatrical event that the 2nd Stages program was designed for! Visit arc-hive.org for behind the scenes video of the developing work and other information. HOW YOU CAN HELP: The Arc:Hive project has an Indigogo campaign running online to finish funding the final work. Please visit https://www.indiegogo.com/projects/arc-hive-s-a-moment-unbound for all the details or to make a donation. The Northern California Chapter of the Art Libraries Society of North America (ARLIS/NA) is compiling information about artist book collections in California. The information we collect will be used to create an online resource that will describe the landscape of artist books in the state and aid researchers, librarians, archivists, and artists who are looking for these unique materials. If your institution collects artist books, please consider responding to the attached survey to be included in this resource. The goal of this survey is to gain a preliminary understanding of the artist book collections in California and we appreciate any information you have the time to share. The questionnaire may take up to 30 minutes to complete; please fill out as much of the survey as you have time for. If the information requested is available on your institution’s website feel free to include the link to the appropriate site rather than answer the question in full. Please contact Mary Wegmann at arlisnocal@gmail.com with any questions. This post was submitted by Mary Wegmann, Director of Library Services at The Carl Gellert and Celia Berta Gellert Library at Notre Dame de Namur University. The Mechanics’ Institute, one of the oldest libraries in the west, is offering a free evening tour of its historic library and building. 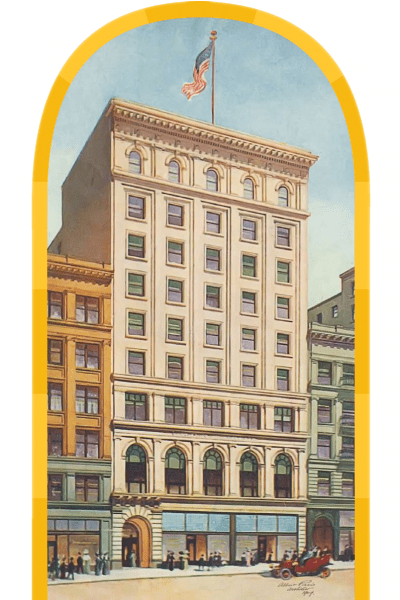 The Mechanics’ Institute of San Francisco was founded in 1854 with four books and a mission to start an organization to serve the education, information and social needs of the city’s mechanics, artisans, and industrialists. Within a few years the Institute was offering classes in such subjects as mechanical drawing, industrial design, electrical science, and applied mathematics, had started a chess club and had acquired a magnificent library that slaked San Francisco’s voracious appetite for technical and pleasurable reading material. The Tour of the Institute will orient you to our building, include an overview of our history and mission, and outline our current services and the benefits of membership. Tours typically take 45 to 60 minutes. Free Tour. No reservations required. For more information on this event, as well as the numerous other events being held at the Mechanic’s Institute, check out their website. This post was submitted by Deb Hunt, Library Director at the Mechanic’s Institute in San Francisco. Follow her on Twitter @debhunt6.